Construction was undertaken via the water using barges and relying on tides with other products manually moved down the block via an inclinator and stairs. The design involved access steps to lower area and integral pool walls taking into consideration the beautiful views below. 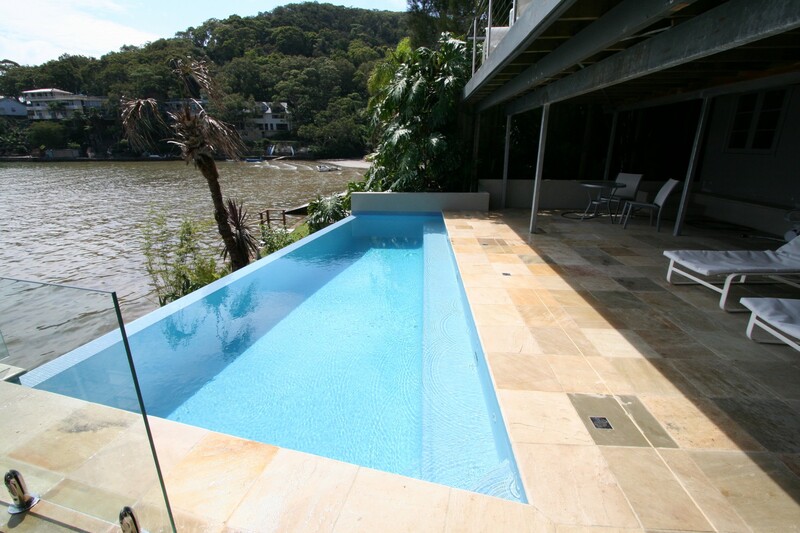 By incorporating a spillway which was finished in stackstone, this created a flow from the pool to the water backdrop.